Embroider your own mobile case! 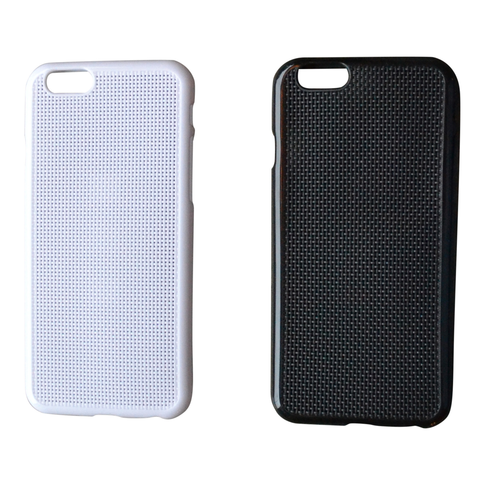 This mobile case with holes for cross-stitching, fits the iPhone 6 and is available in white and black. (Also available for iPhone 5.) The case is about 140 x 69 x 9 mm. The case is made of TPU (thermoplastic polyurethane), a very durable and flexible material that easily mounts on your phone. Perfect as a gift for those who want to create their own personal mobile case!